Fatty liver disease, once a relatively uncommon condition, has reached epidemic proportions in many parts of the world. Although fatty liver can lead to serious health problems, it is also very responsive to lifestyle changes, especially carb restriction. Read on to learn how a well-balanced ketogenic or low carb way of eating may help prevent, improve, or potentially reverse fatty liver disease. 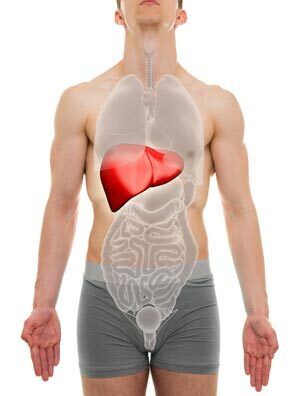 Under normal conditions, the liver contains a small amount of fat within the hepatocytes. Fatty liver occurs when more than 5% of the liver’s hepatocytes are made up of triglycerides. This condition is also known as hepatic steatosis. Although heavy alcohol intake can cause fatty liver, many people who have this condition don’t drink excessively. In those with fatty liver who consume fewer than 1-2 standard drinks per day, the disease is referred to as non-alcoholic fatty liver disease (NAFLD). Hepatic steatosis is the earliest stage of NAFLD, and it affects about 25% of people in Western countries. Some researchers refer to it as the first hit of the “multiple-hit” progression of the fatty liver disease, although at this stage it can be reversed by lifestyle measures. Its hallmarks are high triglycerides and elevations of the liver enzymes ALT, AST, and GGT. NAFLD can be diagnosed by a combination of ultrasound, CT scan, biopsy, and blood work. Sometimes NAFLD remains stable and doesn’t progress. On the other hand, the fatty liver disease often isn’t diagnosed until it has become the more serious condition non-alcoholic steatohepatitis (NASH), which is characterized by inflammation and liver cell damage. These changes occur as a result of increased oxidative stress, which is an imbalance between free radicals (unstable molecules that damage cells) and the body’s ability to defend against them. NASH can eventually progress to end-stage liver disease known as cirrhosis, wherein damaged liver cells die off and are replaced by scar tissue that impairs function that can lead to liver failure or liver cancer. It’s estimated that 30% of NAFLD progresses to NASH, and 20% of those with NASH go on to develop cirrhosis. Even though most people with NAFLD don’t end up with severe liver disease, excess fat in the liver is metabolically unhealthy. Indeed having NAFLD increases the risk of other disorders, including heart disease, kidney disease, and type 2 diabetes. In addition, while most people who develop liver cancer have end-stage liver disease, recent research has shown a concerning association between the earliest stage NAFLD and liver cancer. 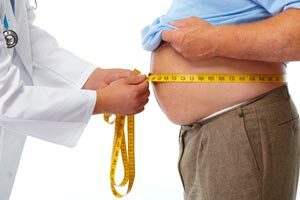 Also known as abdominal obesity or central obesity, visceral obesity refers to excess fat in the abdominal cavity that causes low-grade inflammation. It’s estimated that 90% of obese adults have NAFLD. Additionally, the childhood obesity epidemic has led to a dramatic increase in kids being diagnosed with NAFLD. Importantly, even individuals with a “normal” BMI may develop fatty liver if they carry too much weight around the midsection. This seems to be particularly common in certain Asian populations. 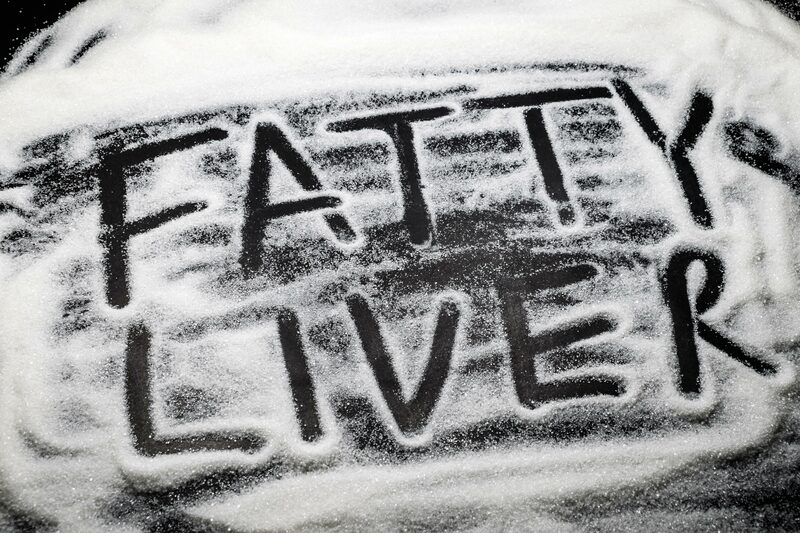 Fatty liver is strongly linked to insulin resistance and the metabolic syndrome. Indeed, it’s estimated that NAFLD occurs in 60-80% of people with type 2 diabetes, a disease characterized by insulin resistance. Excess calories from any source can lead to increased accumulation of liver fat, but refined carbs and sugary beverages are by far the worst offenders. Gut Dysbiosis Increasingly, researchers have suggested that an imbalance in colonic bacteria, compromised gut integrity (“leaky gut”), and other intestinal health issues may play a role in developing NAFLD. Certain genetic mutations make some people more likely to develop fatty liver than others. However, it’s the interaction of genes and lifestyle that ultimately determines whether a person ends up with NAFLD. How Much of A Role Does Diet Play in NAFLD? 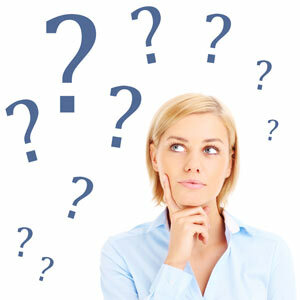 Food choices – the amount and types of food you eat – can have a major influence on whether you develop fatty liver. Indeed, it may very well be the most important factor, given that eating large amounts of high-carb, highly processed foods drives insulin resistance, weight gain, and inflammation. And fructose seems to be particularly concerning for liver health. Research has repeatedly shown that high fructose intake promotes insulin resistance and increased storage of fat in the liver. In a three-week study, obese adults ate 1000 extra calories per day in the form of candy, juice, and sweetened beverages in addition to their usual diets. By the end of the study, they experienced a significant 27% increase in liver fat even though their body weight only increased by 2%. 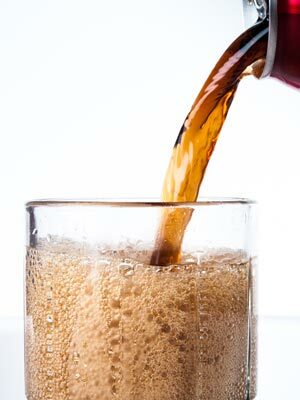 Many researchers feel that excessive consumption of sugar-sweetened beverages among children and adolescents is primarily responsible for the dramatic rise in NAFLD and NASH in these groups. Importantly, drinking a lot of soda, fruit juice, or other sugary beverages isn’t the only way a person can develop NAFLD. A combination of high carb and high calorie intake is sufficient. During chronic overeating, any excess carbohydrate must undergo de novo lipogenesis (DNL), which literally means “making new fat.” During DNL, the liver converts excess carbs into triglycerides (fat), which is stored in the liver. Over time, this can lead to fatty liver. Cutting back on calories and losing weight can help reduce liver fat. However, calorie-restricted diets are difficult to follow long term due to hunger and potential issues with thyroid or adrenal function. On the other hand, a low-carb or keto diet is not only more effective for decreasing liver fat but can also be sustained indefinitely and help reduce insulin resistance. In a two-week study comparing a low-calorie diet to a non-calorie-restricted, low-carb diet in 18 adults with NAFLD, those in the low-carb group experienced a 55% reduction in liver fat vs. a 26% for the low-fat group. In another study,14 adults with metabolic syndrome and NAFLD followed the Spanish Mediterranean Ketogenic Diet for 12 weeks. This diet limits carbs to 30 grams per day in the form of nonstarchy vegetables, is rich in fatty fish and olive oil, and allows moderate amounts of wine, meat, eggs, and cheese. At the conclusion of the study, all but one person experienced significant reductions in liver fat, including 3 who achieved complete resolution of NAFLD. Moreover, all 14 people no longer met the classification for metabolic syndrome. Most recently, a team of Swedish researchers who placed 10 people with NAFLD on a low-carb, high-protein diet for 2 weeks reported rapid and dramatic reduction in liver fat, improvement in gut bacteria composition, and other beneficial changes. It’s important to note that the controlled studies on low-carb and keto diets for NAFLD have been small and of short duration. However, the results have been very impressive. There are also many anecdotal reports of NAFLD being improved or reversed by a keto or low-carb lifestyle. Additionally, although changes in liver triglycerides usually aren’t measured in keto and low-carb studies in overweight and obese people, significant loss of visceral fat and decreased insulin resistance are often seen, suggesting a reduction in liver fat content. 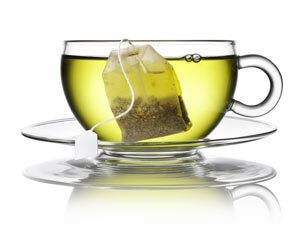 Green tea is rich in catechins, including an especially powerful one called epigallocatechin gallate (EGCG). In a 12-week controlled study, people with fatty liver who consumed tea containing at least 1 gram of catechins daily had a greater reduction liver fat, liver enzymes, and other markers of inflammation compared to the groups who consumed low-catechin green tea or a placebo beverage (25). In addition to providing cardiovascular benefits, monounsaturated fatty acids (MUFAs) seem to have protective effects on liver health. One study in overweight adults with type 2 diabetes found that a high-MUFA diet led to significant reductions in liver fat compared to a control diet, regardless of how much physical activity each group performed. The best sources of MUFAs are olive oil, olives, avocados, macadamia nuts, almonds, and peanuts. 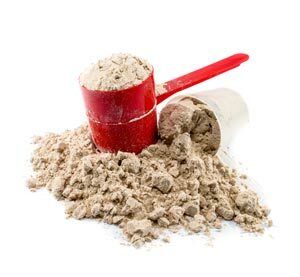 Whey protein may be beneficial for those with fatty liver disease due to its ability to raise glutathione levels. Glutathione is an antioxidant your body produces to help neutralize free radicals and protect your cells. In one study of 38 patients with NASH, consuming 20 grams of whey protein per day for 12 weeks led to significant increases in glutathione levels, decreases in liver enzymes and markers of oxidative stress, and reduced liver fat. Oily or fatty fish are rich in omega-3 polyunsaturated fatty acids (PUFAs), which have strong anti-inflammatory properties. In a detailed review of 10 controlled studies, omega-3 PUFAs were found to reduce liver fat and other markers of NAFLD and NASH . 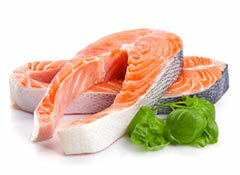 Commonly consumed fish that are rich in omega-3 PUFAs include salmon, sardines, mackerel, herring, and anchovies. 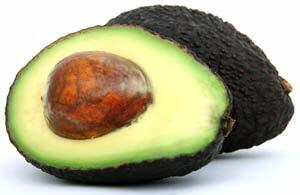 Polyphenols belong to the group of compounds known as phytochemicals, which are antioxidants found in plant pigments. The catechins in green tea are one type of polyphenol, and researchers have identified at least 4,000 others. Early research suggests that foods high in polyphenols may be beneficial for people with NAFLD and NASH . 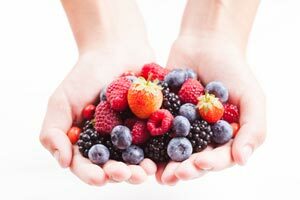 Polyphenol-rich keto foods include berries, green vegetables, bell peppers, tomatoes, cocoa, coffee, wine, olives, and spices like turmeric and cinnamon. As mentioned previously, an imbalance in gut bacteria is associated with fatty liver disease. In 2017, researchers who conducted a meta-analysis of seven studies concluded that probiotics may be helpful for reducing liver fat and liver enzymes in those with NAFLD. However, improvement among subjects varied greatly, which researchers partly attributed to the different probiotic strains, dosages, and length of treatment in the studies (32). 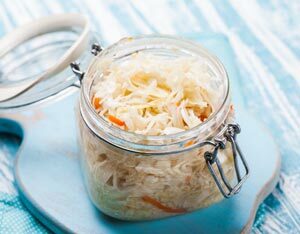 While it’s too early to make recommendations for specific probiotic supplements, low-carb fermented foods like plain Greek yogurt, sauerkraut, and kimchi contain natural probiotics that support gut health and might potentially improve NAFLD. Although there are several studies demonstrating the benefits of keto diets for people with NAFLD, concerns have also been raised in light of several studies reporting that long-term ketogenic diets actually promote the development of fatty liver disease and oxidative stress in mice. Importantly, the keto chow fed to the mice in these studies lacked certain nutrients, including choline and the amino acid methionine. In addition, they were also very low in protein. It’s likely that a very-high-fat, high-calorie ketogenic diet isn’t a good idea for someone with NAFLD, as some of the excess calories will be stored as liver fat. A small study in people with NAFLD found that 14% of their excess liver fat came from dietary fat, 26% from excess carb intake, and the remainder from fatty acids released by their own body fat. However, in addition to the impressive results seen in studies, many people who adopt a keto diet have reported improvement even reversal of NAFLD. A low-carb, high-fat diet tends to suppress appetite, leading to a spontaneous reduction in calorie intake. Therefore, overeating isn’t a problem for most keto dieters. Overall, a well-balanced, nutrient-dense keto or low-carb lifestyle appears to be safe and highly effective for those with NAFLD. NAFLD is characterized by insulin resistance and is strongly associated with metabolic syndrome. Although it may remain stable, it can also progress to more serious forms of liver disease, such as NASH, cirrhosis, and even liver cancer. Because excessive intake of refined carbs and especially fructose play such a large role in driving liver fat storage and insulin resistance, minimizing these foods – or better yet, avoiding them altogether – is a great first step. 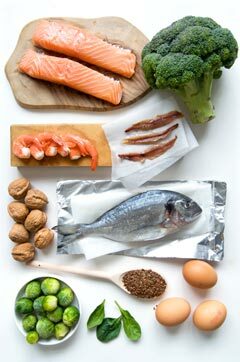 However, in order to prevent disease progression and potentially reverse fatty liver, consider adopting a low-carb or keto lifestyle that provides adequate rather than excessive calories, high-quality protein, and healthy fat. Additionally, make an effort to include very-low-carb foods and beverages that are beneficial for liver health in your diet on a regular basis.